Suffering from obsessive thoughts and compulsive behaviour, teenager Martha needs order and structure in her life. However, the disappearance of her mother, Meredith, is the catalyst for events that will change Martha’s world forever. Twelve months on, Martha is forced to stay at her Grandmother’s in Wales where, determined to find answers, she sets out on a dangerous journey of discovery. When a ‘Gift’ is awoken, Martha has to decide if she can trust the friendship of some unlikely visitors, some of whom are not human, to learn the truth about her Mother’s fate. Carolyn lives in Birmingham with her husband and a menagerie of animals, both domestic and wild. As a critically acclaimed songwriter, her work has featured on numerous albums. 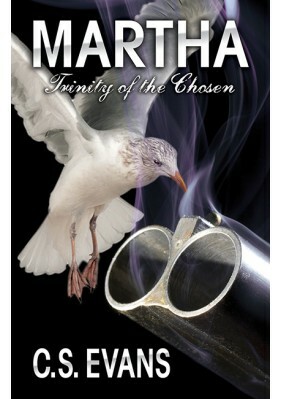 Martha is her debut novel and draws upon her love of wildlife, mixed with a vivid imagination and mystery.